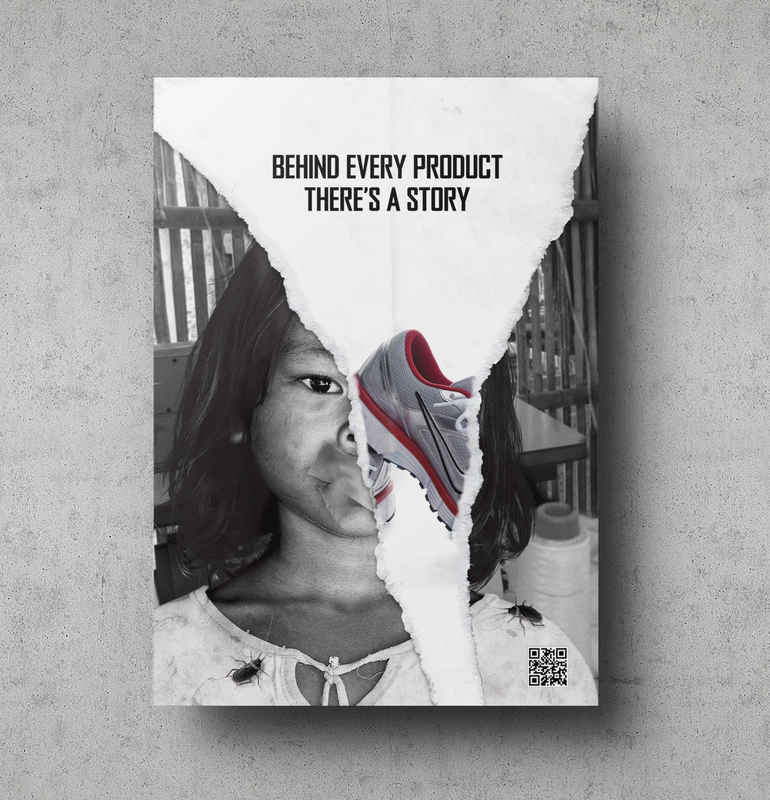 Poster gimmick to create social awareness and expose the truth behind consumerism. 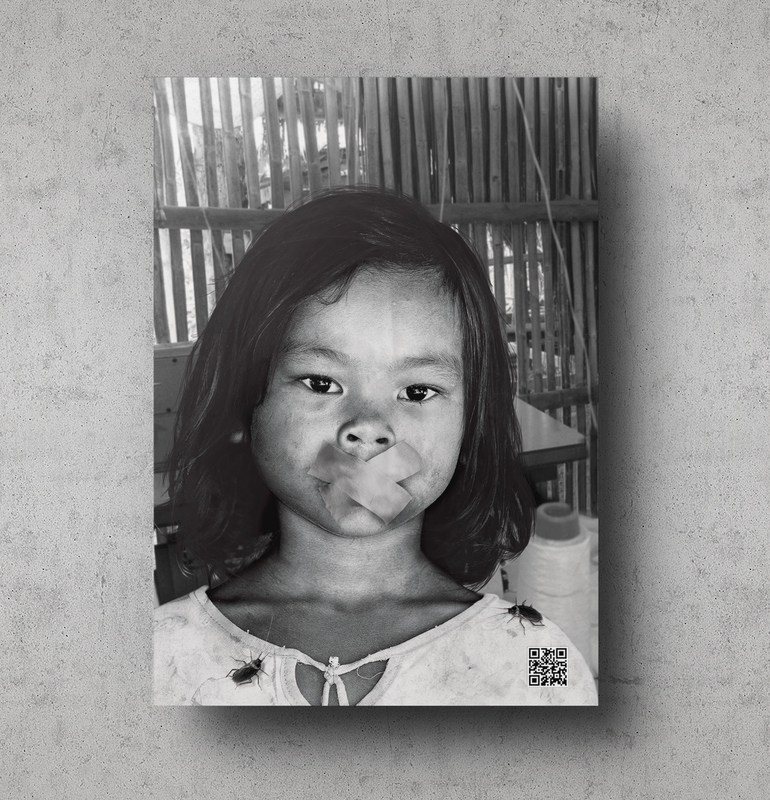 The idea of this exercise was to use graphic design as a tool for creating social awareness, and at the same time encourage social movement against of what we believe is wrong in society. 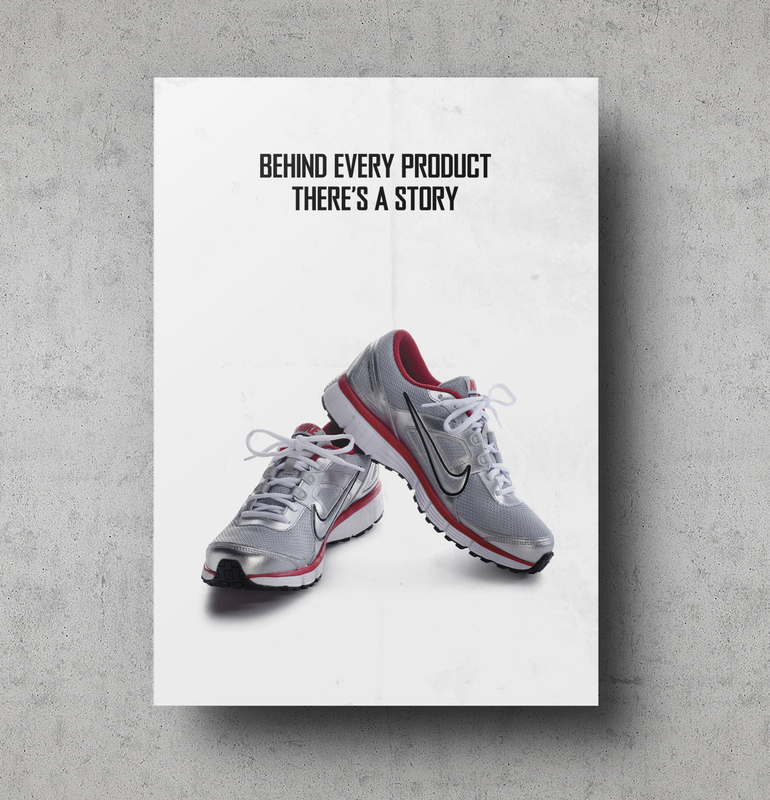 As consumers we are not aware of what happens in the backstage to produce each product we buy. 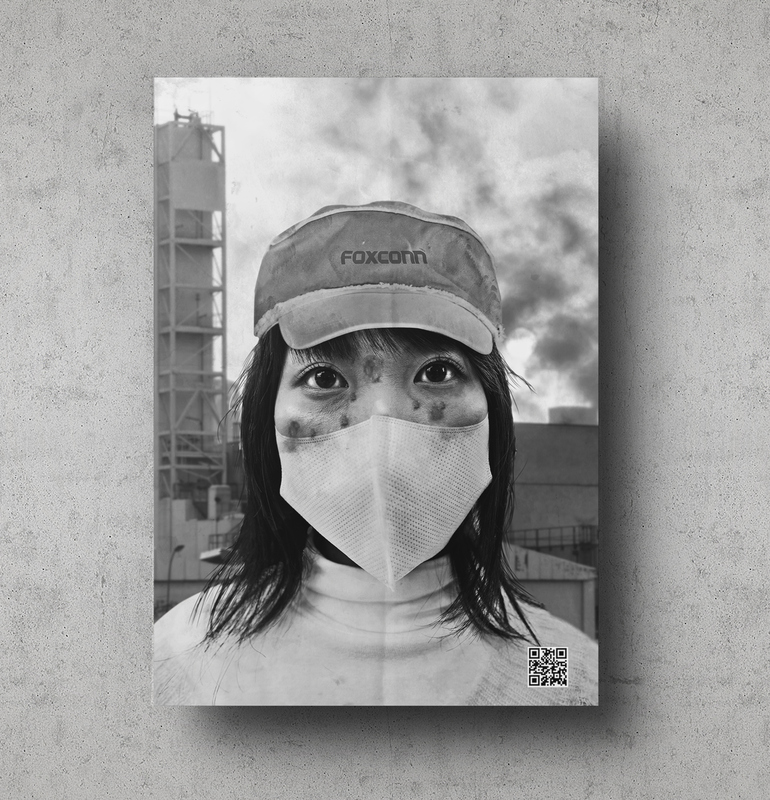 We never stop to think which are the consequences for producing the product we love so much, and if someone was affected at the other side of the production chain. 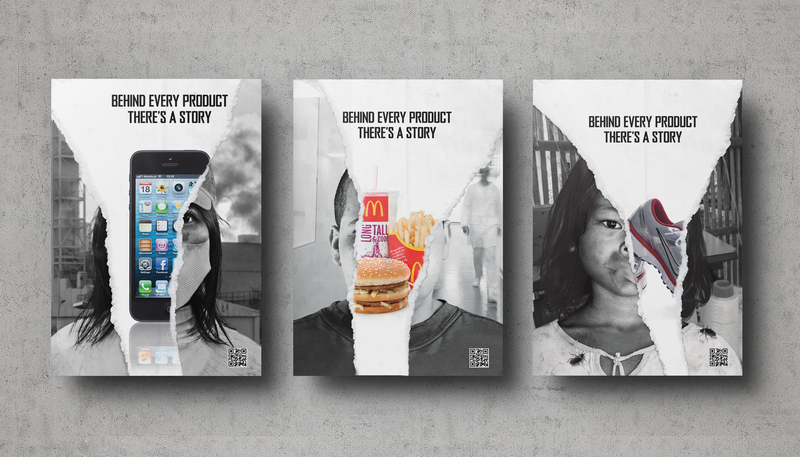 Maybe it’s time to change the role we play as consumers and demand these companies a more fair trait to human labor. 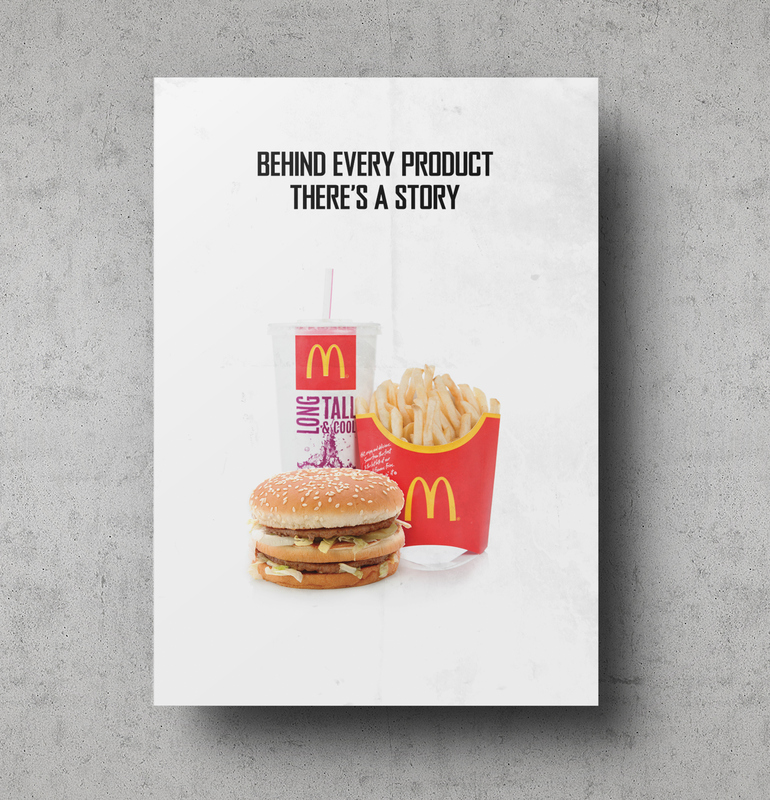 Throughout “guerrilla advertising” techniques, I created a gimmick to critizise consumerism and expose the truth behind iconic products from our culture. 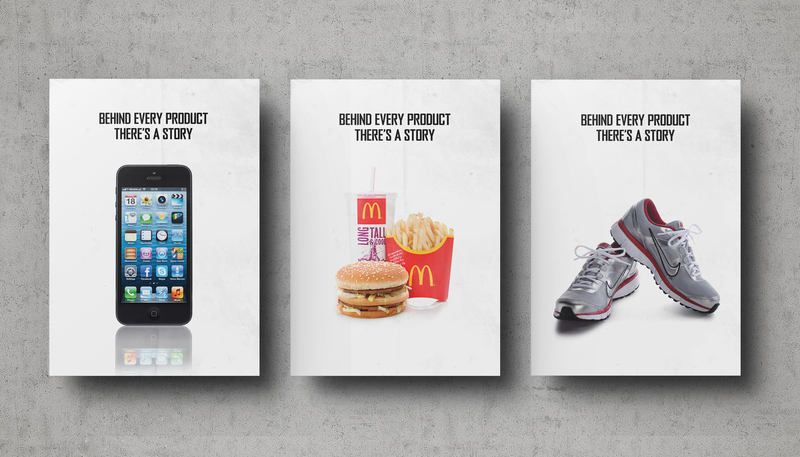 I chose three products most of us use/consume in our everyday lives: Apple’s iPhone, McDonald’s fast food and Nike shoes. 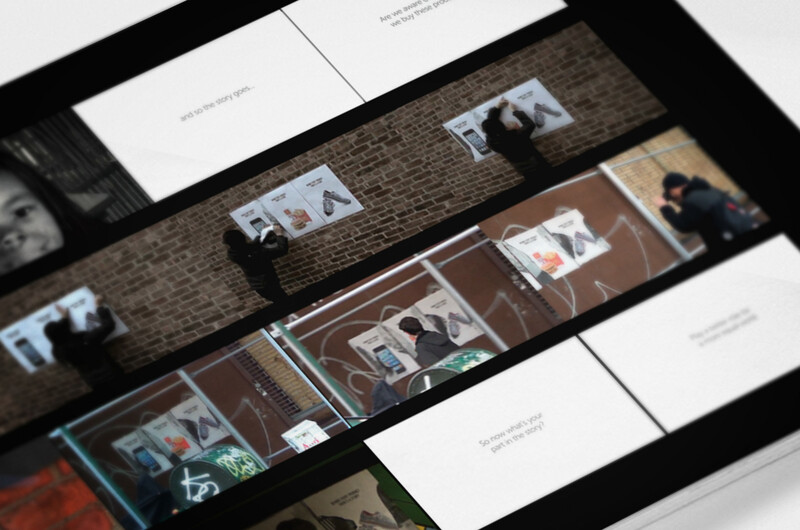 I created a set of 2-layered posters for the audience to interact and unveil the story behind them. 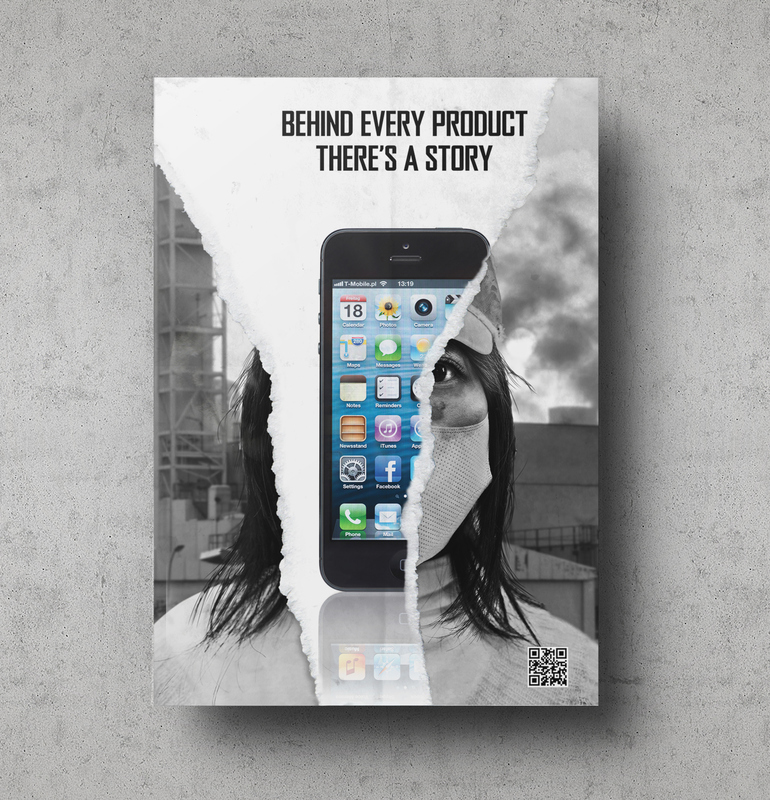 The front layer contained the selected product with the copy “Behind every product there’s a story”, and the layer behind with the portrait of the person who was directly affected by that same product. These set of posters had the characteristic of being teared on the sides so that people could see the image behind. I wanted to encourage viewers to continue tearing the front layer and unveil the layer behind. 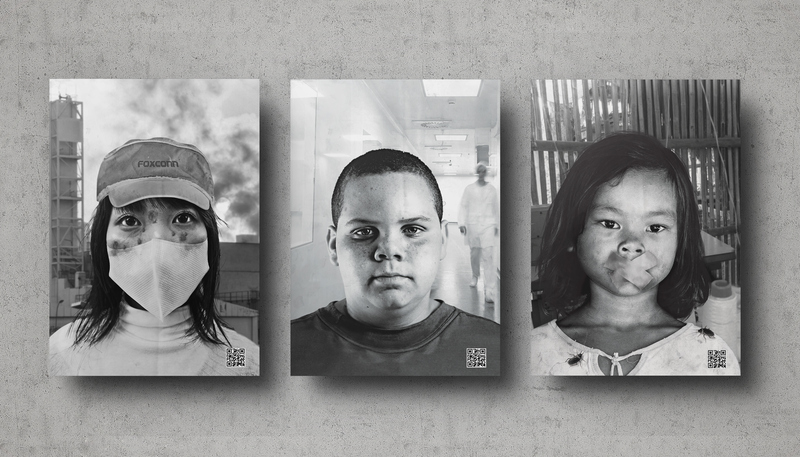 The idea of selecting portraits of the victims affected by consumerism, was to create sympathy in the viewer and to make him/her relate emotionally to the people in that situation. 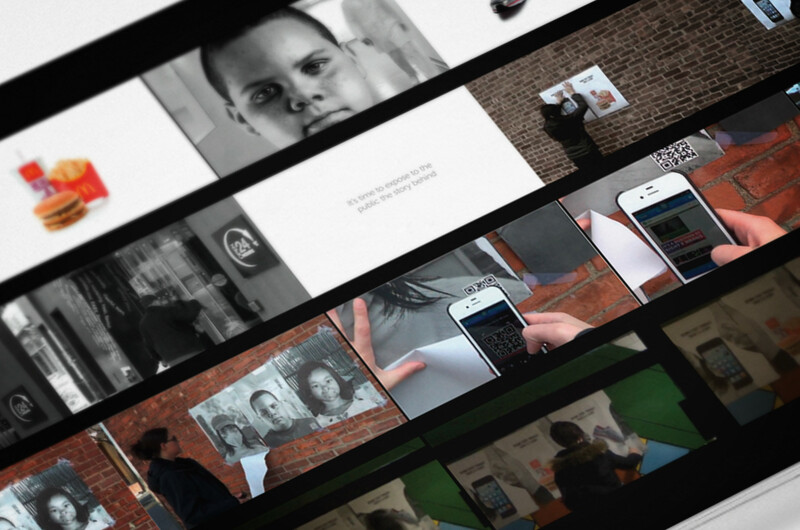 The layer with the portraits also contained a QR code. 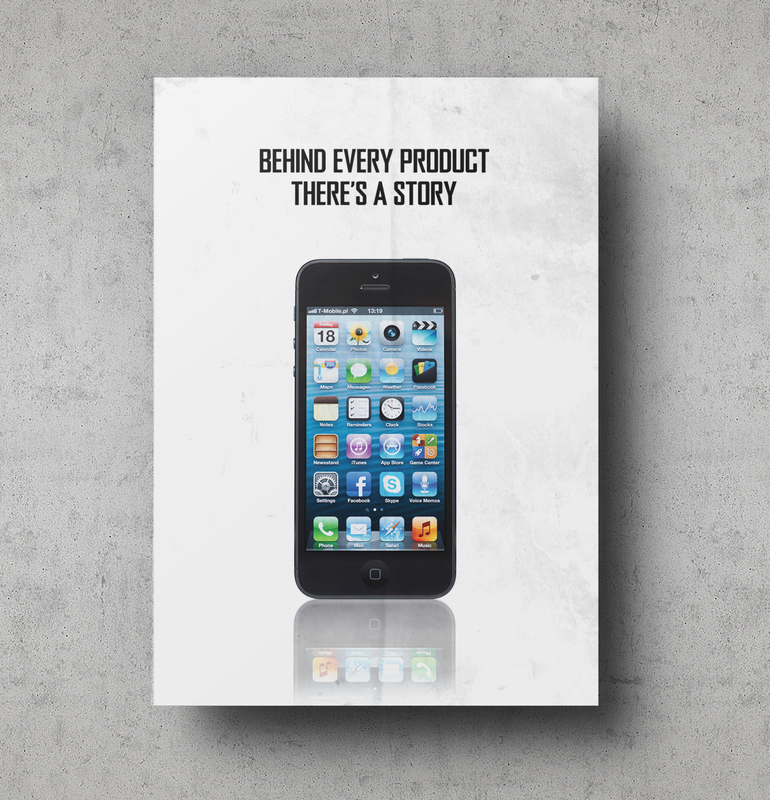 It's purpose was to link the viewers from their smart phones to the OXFAM —the organization that monitors companies to behave ethically and strives to regulate human right injustice around the world, so they could have an active role as consumers and demand fair trait to human labor to these companies. 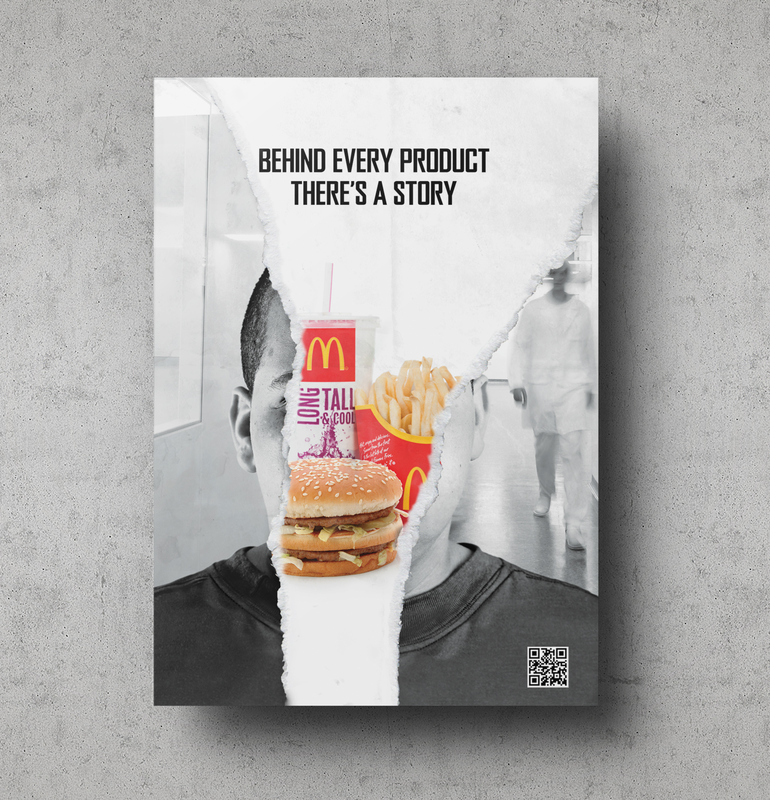 I imagined this project expanding to expose the truth about other products we daily consume. I strongly believe with the active participation of consumers and the influence of organizations such as the OXFAM a major change in the production chain will eventually happen. Wether we believe it or not, as consumers we have the power to demand these companies to do the right thing. 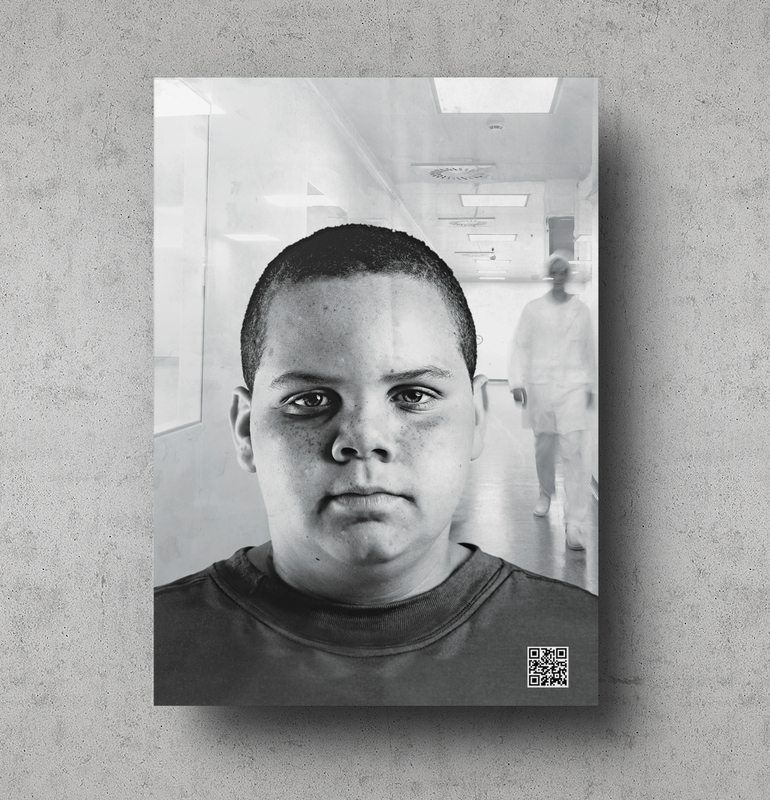 I exhibited the set of posters in public spaces such as subway station platforms and streets in NYC, where people would easily interact with them. 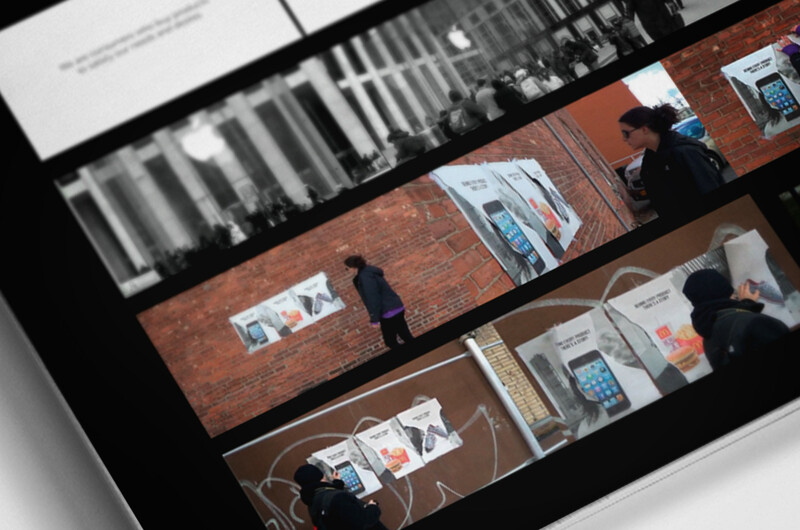 For me this was a great experience, because I was able to get a good response from the people who saw the posters.